Freedom Farm Ministries Grand Traverse utilizes permaculture gardening and equine-assisted therapies to benefit women in need of healing. 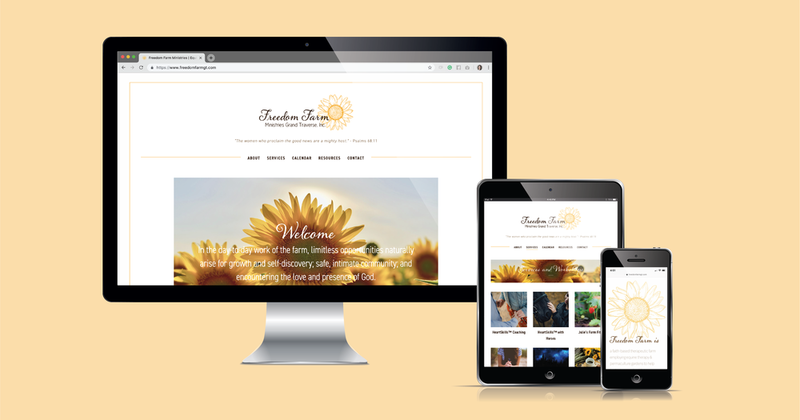 When we first talked to Julie Elliott-Eickenroth, Founder and Executive Director of the nonprofit, she wanted to enlist our services for branding and website design, but didn’t have the budget to do so. During an unbooked week, we decided to donate our time and talents to creating a logo and website for Freedom Farm!